On the View, Carly Fiorina bashes Hillary Clinton for pulling the gender card. 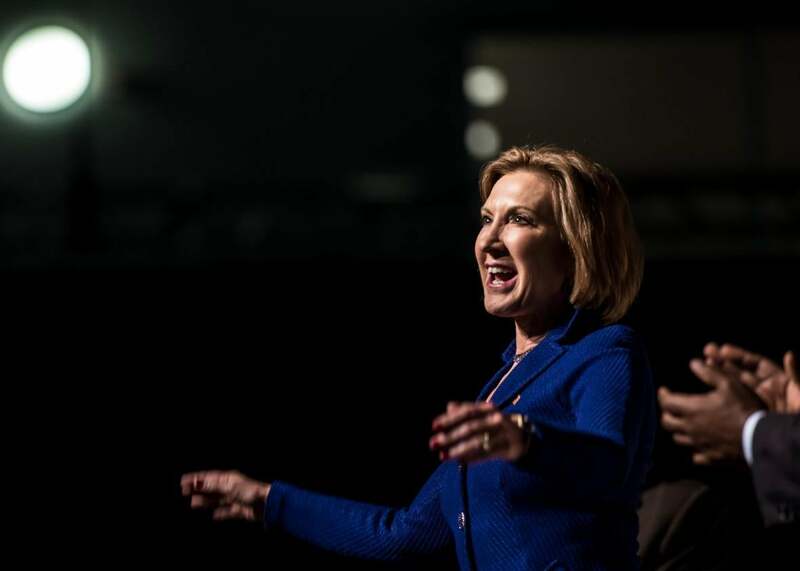 Carly Fiorina in Aiken, South Carolina, in October. After telling the hosts of The View to “man up” earlier this week, Carly Fiorina appeared on The View this morning in defense mode. Through video feed from New Hampshire, Fiorina sparred with the liberal-leaning hosts over reproductive rights, minimum wage, and jokes about Fiorina’s appearance, which the candidate has used to gin up donations in recent emails. Correction, Nov. 6, 2015: This post originally misquoted Fiorina; she said, “When you’re talking about burying a child, it is not time to smile,” not bearing. The reference to the misquotation has been removed.